What to patch? What are the applications/appliances that are deployed in your infrastructure? When to patch? When are new vulnerabilities discovered? The classification of vulnerabilities is based on the “CVE” (or “Common Vulnerabilities and Exposures”) standard maintained by mitre.org. To explain briefly, when a security researcher or a security firm finds a new vulnerability, a CVE number is assigned to it (CVE-YYYY-NNNNN). The CVE contains all the details of the vulnerability (which application/system is affected, the severity and many more information). 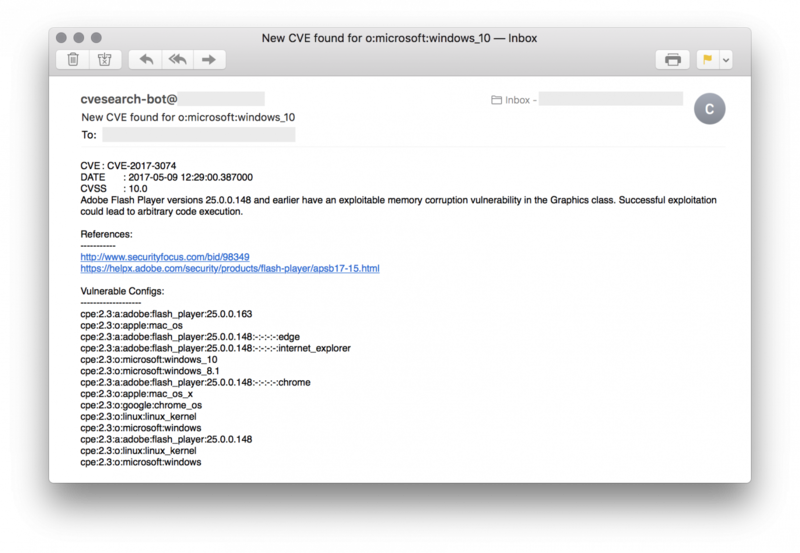 As an example, the vulnerability exploited by WannaCry was CVE-2017-0143. The script will parse this config file and search for new CVE for each product definition. Results will be sent via email to the specified address. Of course, the main requirement is to know what you are using on your infrastructure. The information used in the config file describes the products is based on the CPE standard which categorises applications, operating systems and hardware devices. This information can be found by Nmap. An alternative is to use the following tool on your own network (only! ): cve-scan. 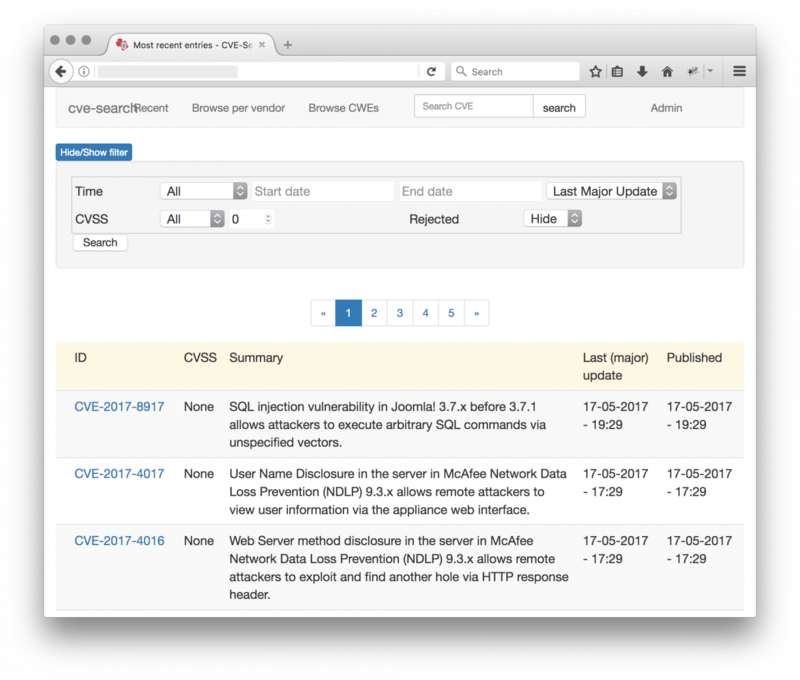 It scans hosts and searches for vulnerabilities in the cve-search database. My script is available on my GitHubrepository.